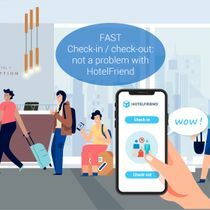 To bring the upselling of services to a new, even more progressive level, HotelFriend affords ground for creating your own package deals or vouchers that include your hotel’s rooms in a combination with services. All you have to do is handpick a few services and combine them with an overnight stay, then set an attractive price to sell on our Marketplace or even directly on the hotel’s website. With such an innovative and client-friendly approach your hotel will surely be on everybody’s lips. 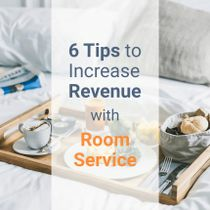 Empower your hotel with unique offers of rooms plus services and become unreachable by the competitors. Generate predictable revenue flow selling deal offers and manage your property for the most efficient performance. 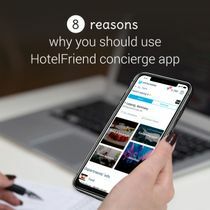 Enjoy sales growth with multi-channel opportunities supported by the experts from HotelFriend. 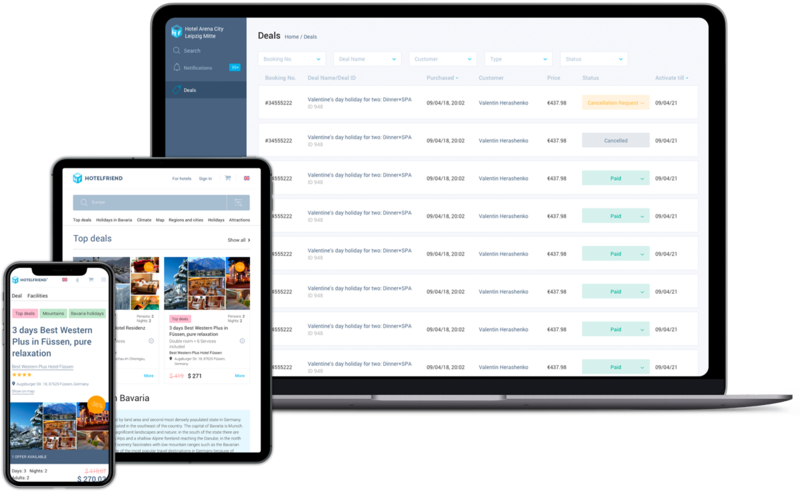 Create, manage and sell rooms and services with a new digital tool — easy, fast and effective. Decide what rooms and services you want to include in your hotel’s deal. Provide this information to us. We will add your deal to the system. After that, this deal is sold on our marketplace and through the mobile app. 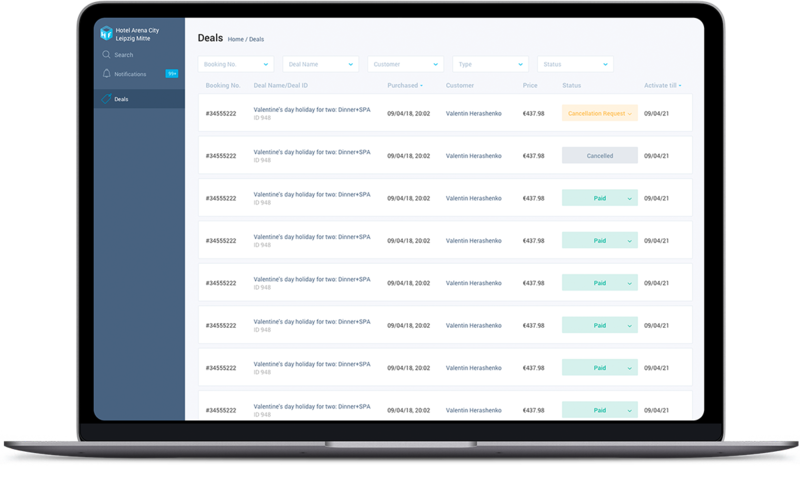 Monitor the dynamics of your active and purchased deals. 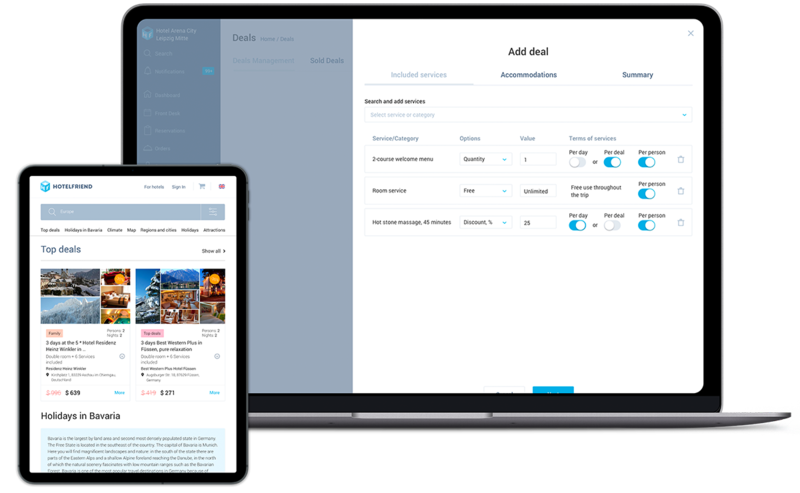 Complementing the Deal Light package, with the Deal Pro, hotels can manage the deals by their own. Complete access to the admin panel, where the deals can be added and edited. The deals can be sold on the web and through the mobile app. Our sales team will analyze your needs and offer the Deal Manager solution that fits you best.